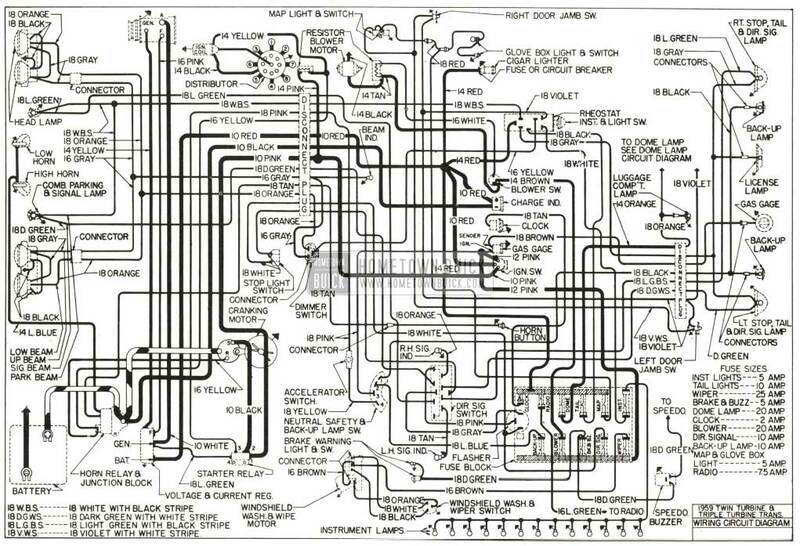 This section contains schematic 1959 Buick wiring diagrams for the complete car. 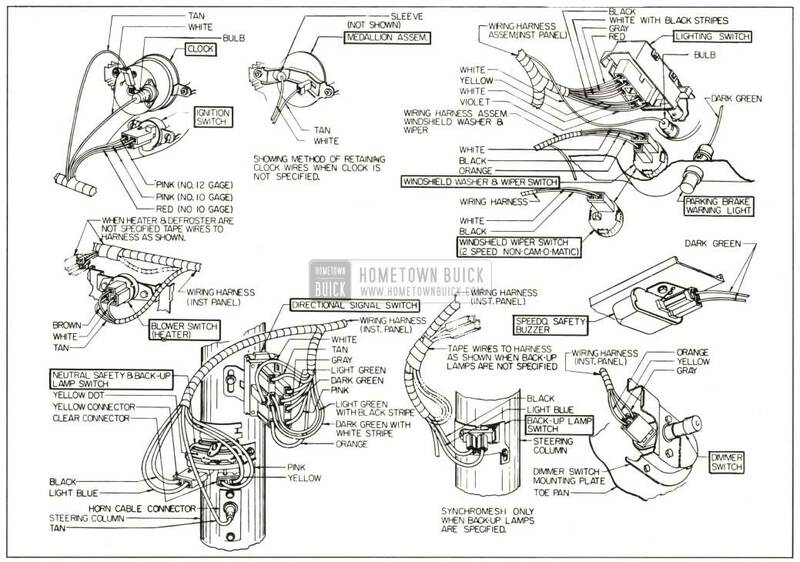 For more detailed 1959 Buick body wiring diagrams showing the routing of the wires and the location of the switches, connectors and retaining clips – see Group 8 of the Buick Body Service Manual. 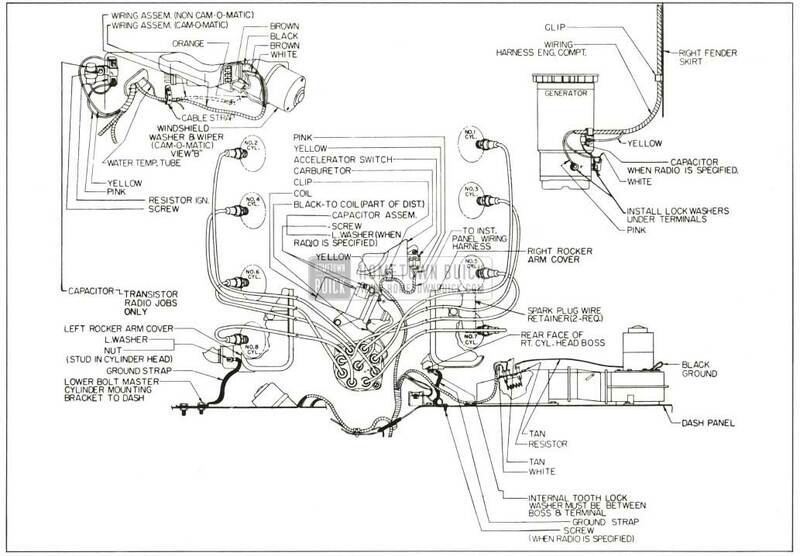 Wiring diagrams of the power window and power seat circuits are also in that section. 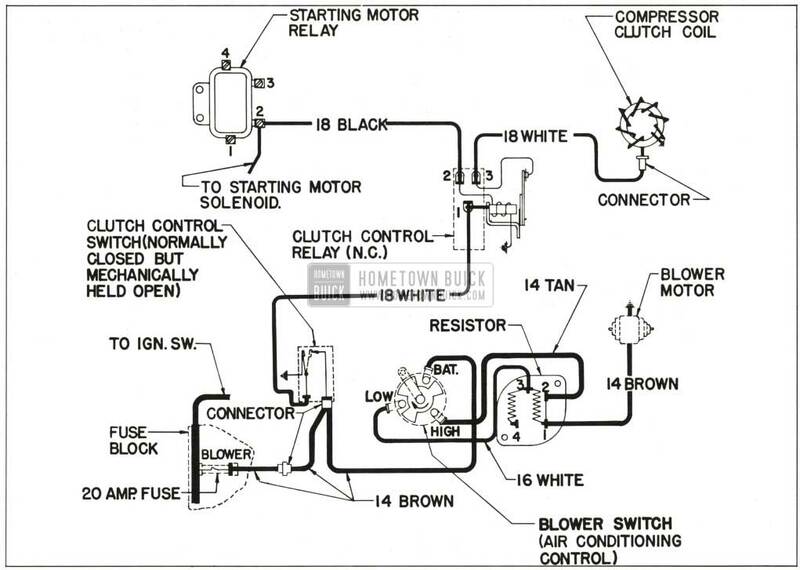 A few of the most important wiring terminals are connected with screws. 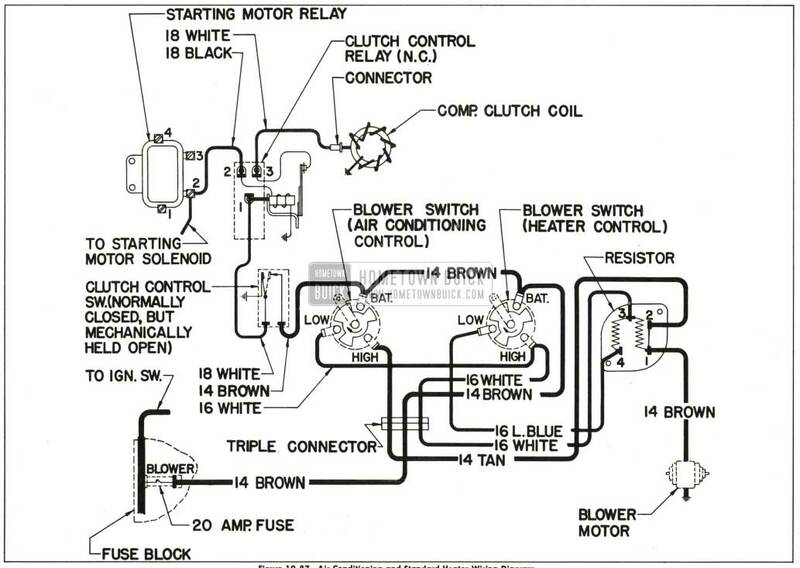 However, most of the terminals have a flat push-pull type connector. With this connector, the terminal on the wire requires a straight hard push to seat it in the socket. 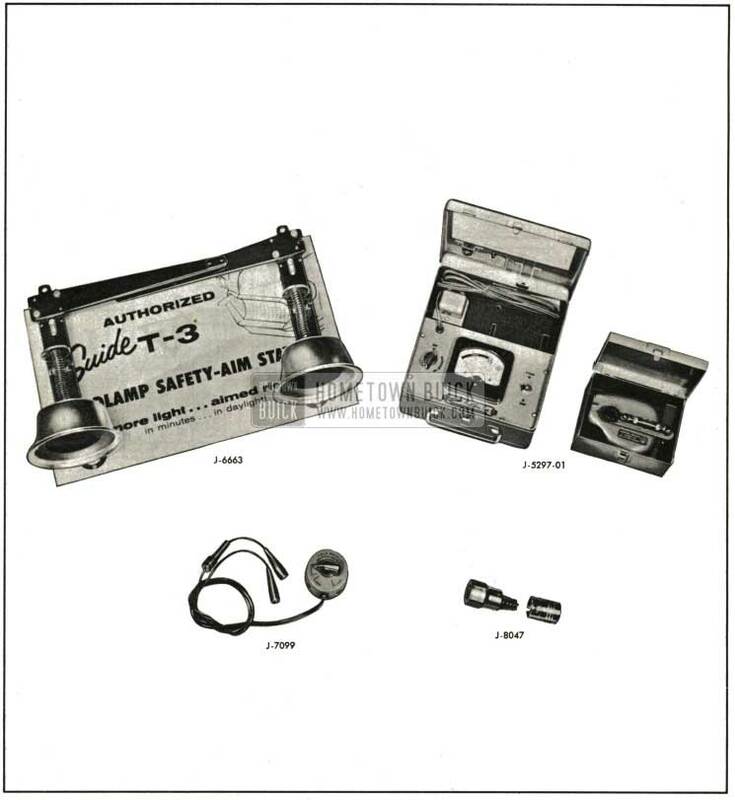 A hard steady pull on the terminal is required to detach it from the socket. 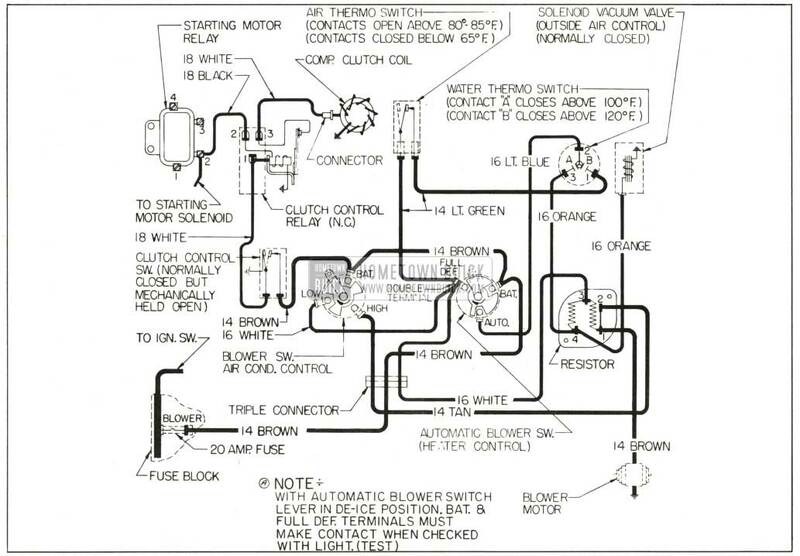 A central fuse block is mounted under the instrument panel on the left side. 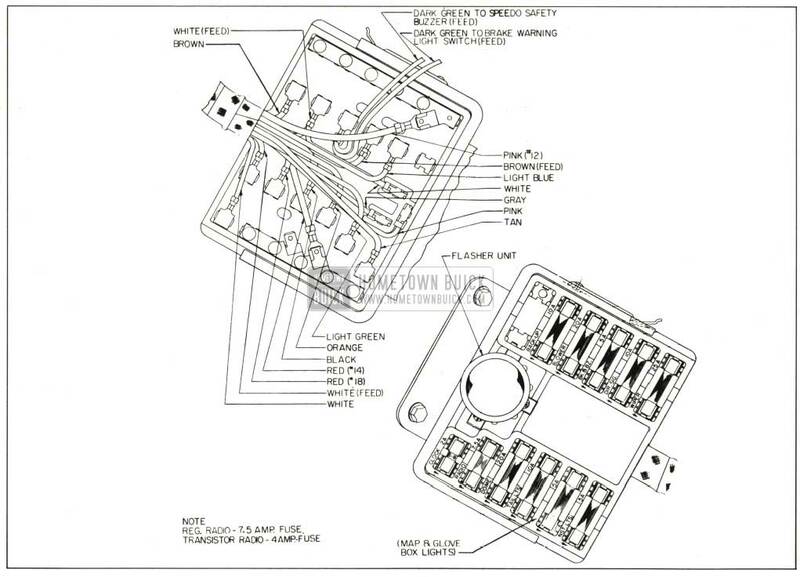 This 1959 Buick fuse block serves as a convenient junction point for a number of circuits, provides a mounting for the direction signal flasher, and contains most of the fuses. 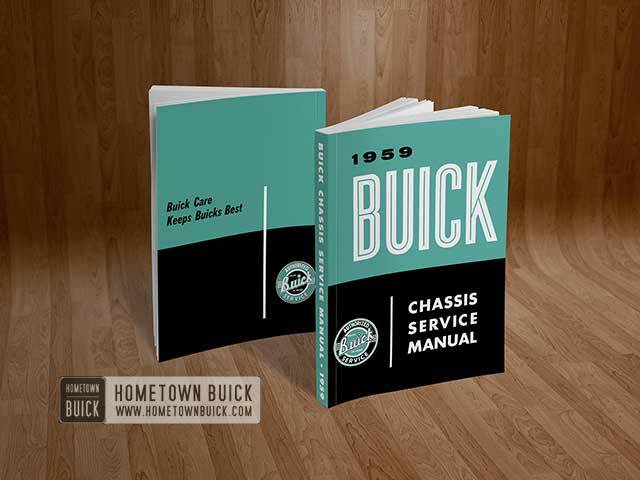 The 1959 Buick fuse block is held in its bracket by a spring clip and may be easily slipped out to check the fuses on one side or to check the connections on the other side. 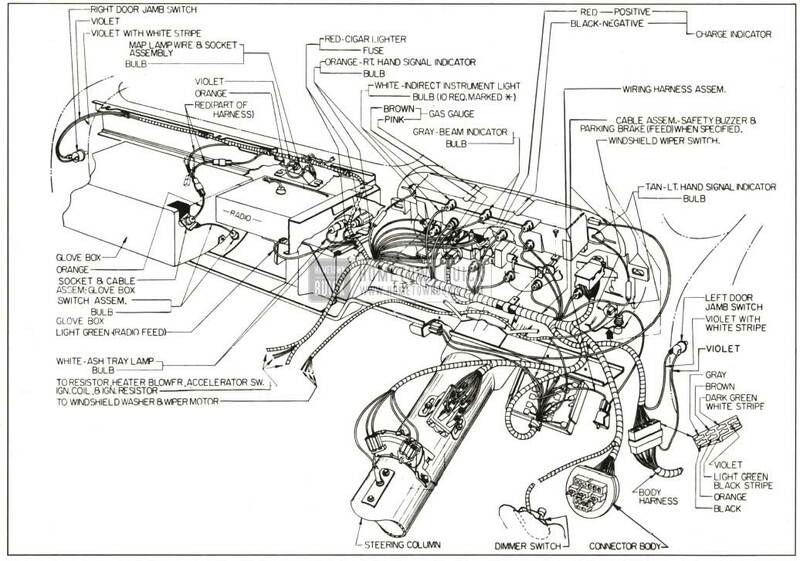 See figure 10-80. 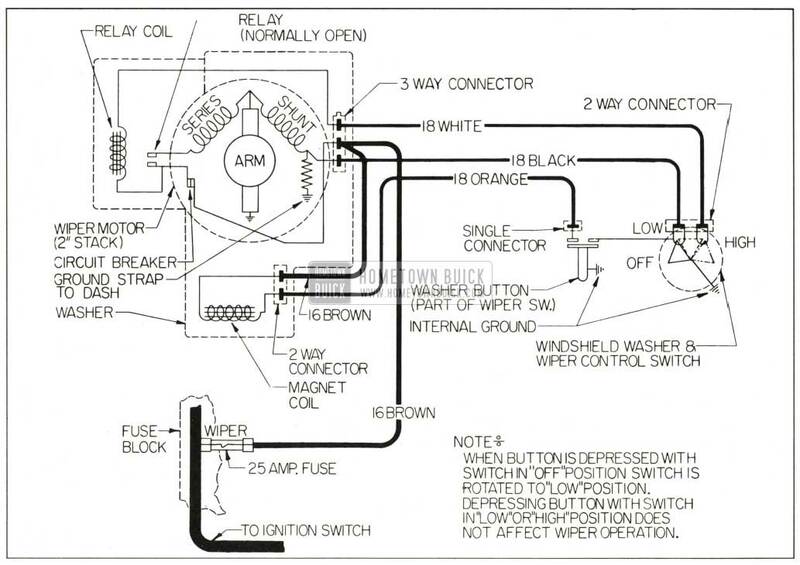 To simplify replacement of wiring, the circuits to the rear of the fire wall are grouped in one harness and the circuits forward of the fire wall are grouped in another. 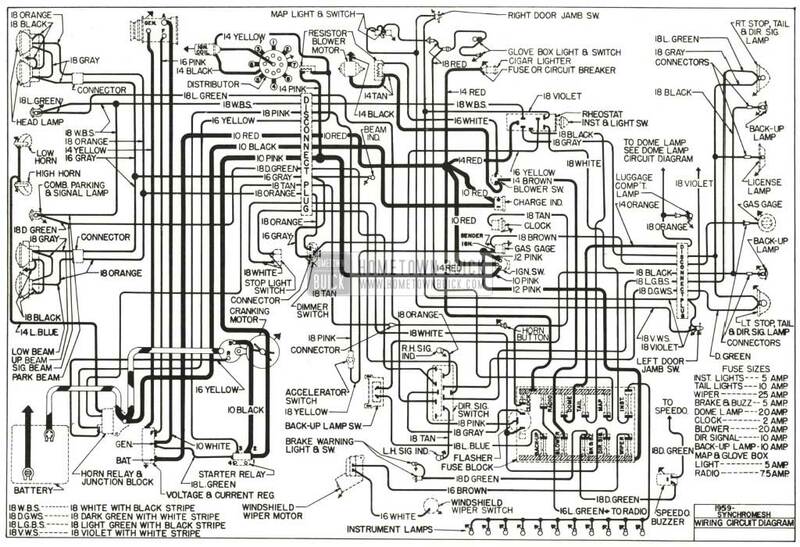 The 1959 Buick instrument panel wiring harness ends in a multiple connector which is held in the fire wall. 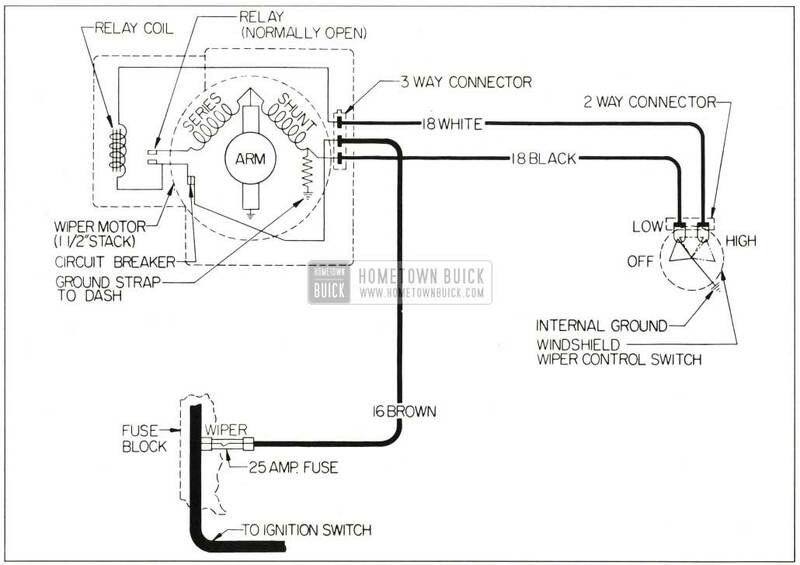 The 1959 Buick engine compartment wiring harness plugs into this connector at the fire wall. 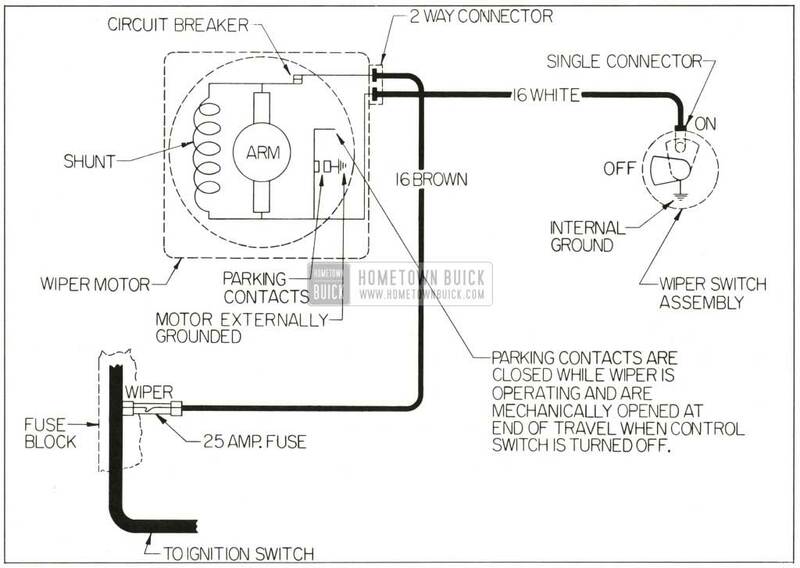 This type of connector aids in tracing down electrical troubles. 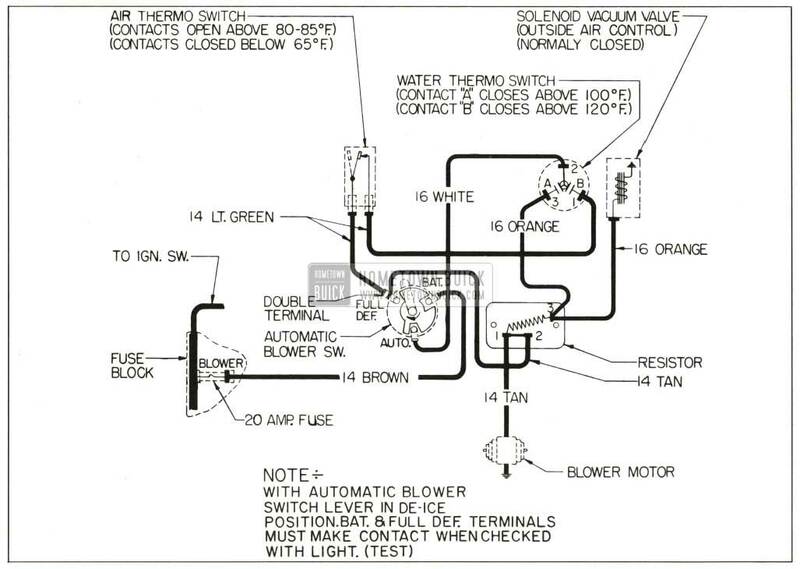 See figure 10-81.